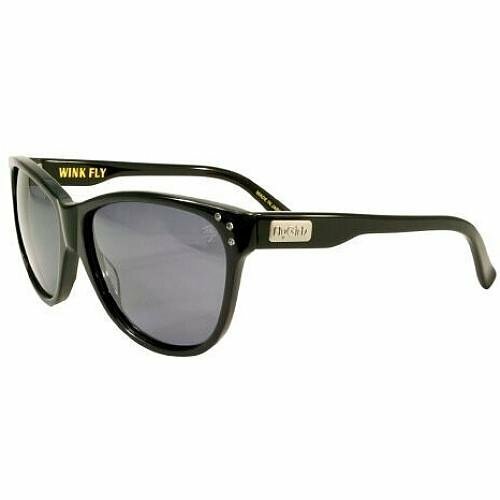 On a sunny day, protect your peepers with these stylish Fly Girls® Wink Fly sunglasses. The acetate frame is handmade for a smoother texture, while built-in 100% UV sun defense guards your eyes from harmful rays. 100% UV protection. Handmade 6-base acetate frame. 6-base CR-39 lenses. Comes with a zippered Fly Girls case and a soft bag. Model: WINK. Made in Japan. If you have any questions about this product by Black Flys, contact us by completing and submitting the form below. If you are looking for a specif part number, please include it with your message.